Guten Tag! Welcome to the first official MYO Europe Tour Blog. 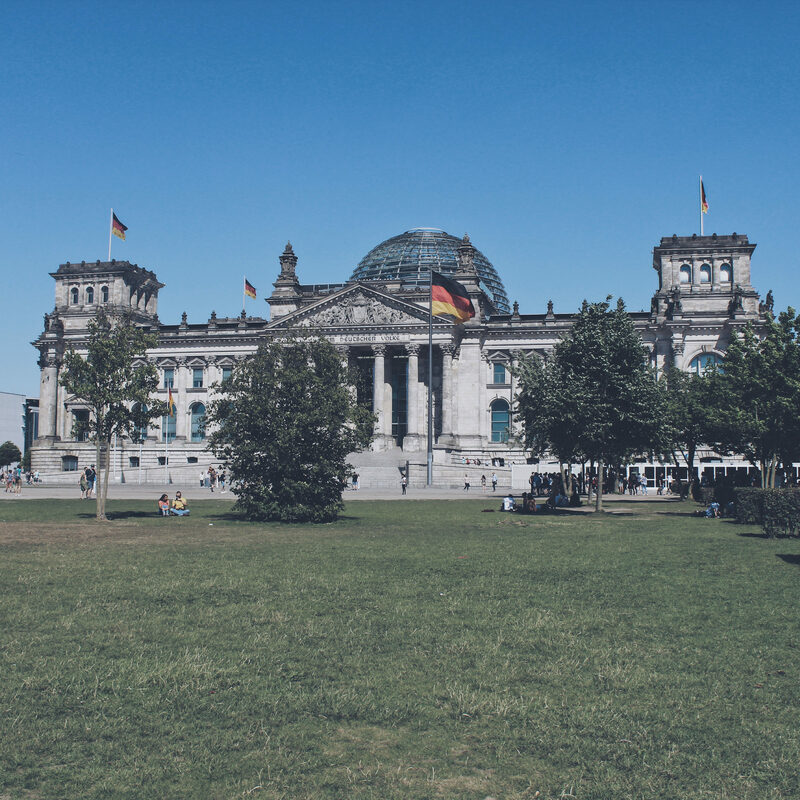 Today’s blog covers July 3rd (our travel day) and July 4th (our first day exploring the beauty of Berlin). At 2:45 PM on July 3rd all of the excited MYO tour members lined up in our chaperone groups; anxious for the excitement to begin. Mr. Stickley’s group led the pack of red shirted teens to the luggage check. Families waved goodbye, tears were shed, and hugs were delivered. Although for some it was hard to say goodbye, we knew that this goodbye was only the beginning of what could turn into the most incredible two weeks of our lives. After the luggage check bonanza, Officer Sheehan escorted each group safely through the TSA security check. Everything was off to a great start! As we arrived at Gate 5, friends reconnected with friends, who then went on missions for mac and cheese, and ultimately bought Pringles and a soda for the long journey ahead. Our plane was unlike any I had ever been on before! I walked through the magic of first class, then business class, then premiere economy, then regular economy to finally arrive at my seat in row 54! WHO KNEW PLANES COULD BE SO LONG?! There was a video describing the safety features and where the exits and lavatories were located on the plane. Moments later, we realized the bathrooms were downstairs! THERE WAS A DOWNSTAIRS ON THIS PLANE, PEOPLE! Most of us watched a movie or two during the first few hours of the flight. The majority of us bawled over the movie Love, Simon. Others took a nap and couldn’t be bothered with the awesomeness of free movies. Soon enough, dinner was served. There was a choice between pasta and beef. The pasta was spectacular, if I do say so myself. However, the reviews on the beef did not come back as strong. Once dinner was finished, everyone received a hot, moist towelette. Which, “blew our collective mind” according to MYO tour member Kathryn Sayler. After dinner was served, a large amount of us took a nap (including myself) and cannot account for the rest of the flight with total accuracy. I have been told there was some light turbulence and a tea/coffee cart by those brave souls who stayed up during the whole flight. After our first flight landed in Munich, we took a very confusing route to our connecting flight to Berlin. Everyone was very tired and antsy after sitting still for almost eight hours. Mostly everyone took a nap on our connecting flight to Berlin. Again, myself was included and I definitely do not remember anything from the second flight. LANDED IN BERLIN! This began our July 4th sightseeing day. Our luggage carousel was immediately outside of the gate which I thought was interesting. The Berlin Airport was much smaller and made me feel a bit claustrophobic. However, excitement took over as we met our tour guides and boarded our tour buses. We were brought to the heart of Berlin and released into the world with hopes of finding lunch. Some went to get sushi, others had pizza, some had burgers, and a few were brave enough to try Wurst. A bus tour with a new chaperone allowed us to explore Berlin. We went to Checkpoint Charlie and The Gypsy Memorial while learning about the rich history of the Berlin Wall, World Wars One and Two, and several decades of royalty. After a wonderful day of sightseeing, we checked into our hotel. The rooms are very nice. We had time to shower and unpack clothes for tomorrow. We had a meeting in the lobby at 6:45 PM and then headed off as a group down the streets of Berlin to get dinner. Dinner was absolutely delicious. When we sat down, there was a huge plate of salad with vinaigrette and various vegetables. There was also two baskets of potentially the best soft bread to ever exist on the table. I ate a lot of bread. The servers then brought out dinner. For those of us who aren’t vegetarian, we were served a spinach stuffed chicken breast with potatoes and vegetables all on a cream sauce. I believed the dinner was spectacular and received five star ratings from almost all of the tour members. Dessert was a raspberry, strawberry, and cherry compote with whipped cream on top. It was a bit sour. The whipped cream was delicious, though. Our day has officially come to an end and I am writing to you from the comfort of my hotel bedroom. So, as to hopefully get some sleep for tomorrow, I am signing off the first ever blog with a big ol’ bis morgen!